A quick commission from a colleague of mine, T. Hunter McCann. He needed a color concept sketch of an exterior location. 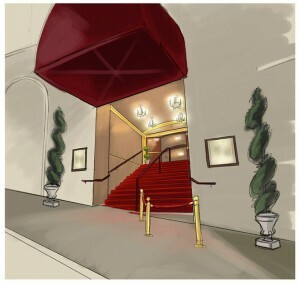 The task was to set dress the entrance to mimic a classy theater-type venue. 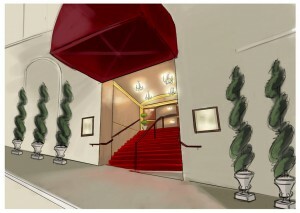 My quick sketches helped to convince his client on the location idea/color scheme for a Lexus commercial (as seen in the youtube video below). Thanks for the opportunity Hunter and thanks for checking in folks!